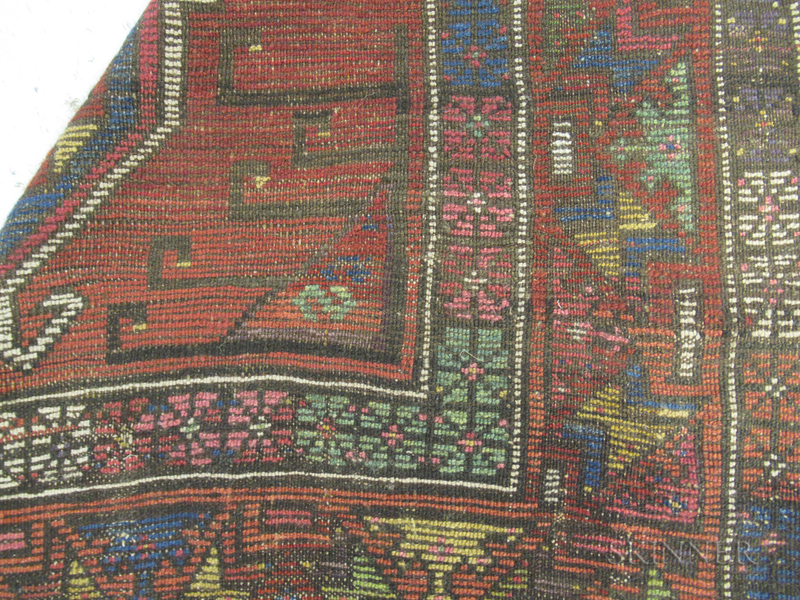 Central Anatolian Long Rug, Turkey, c. 1860, 9 ft. 4 in. 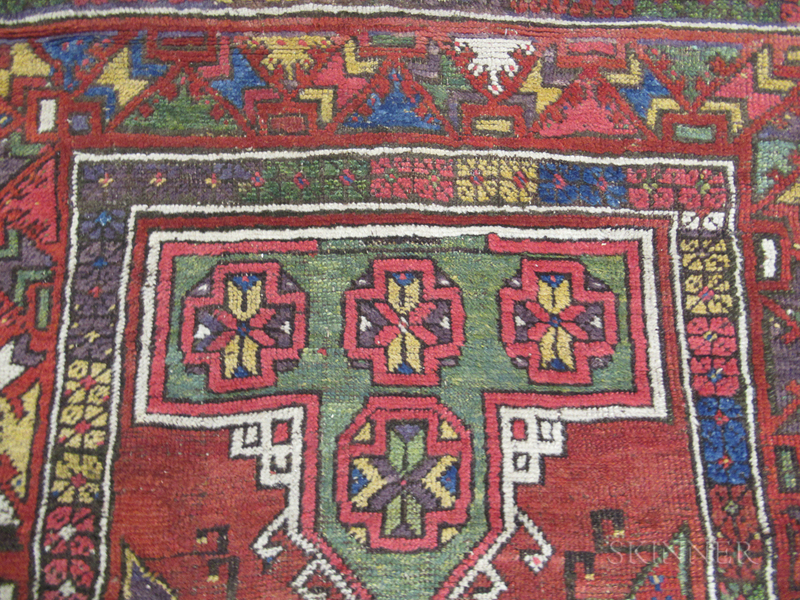 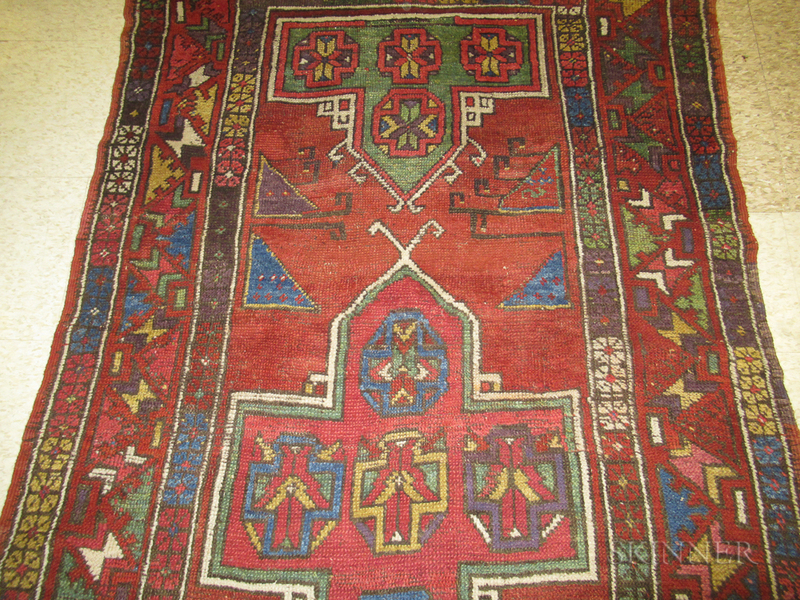 x 4 ft.
Provenance: The Rabinovic Collection of Anatolian Village Rugs. 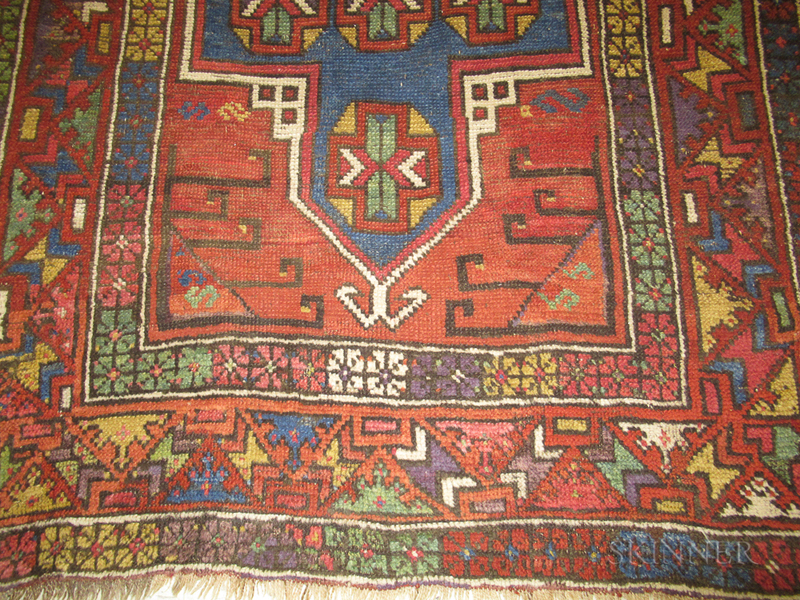 Good condition: very good color, evenly low pile with scattered areas of repiling, upper left-side minor border rewoven.